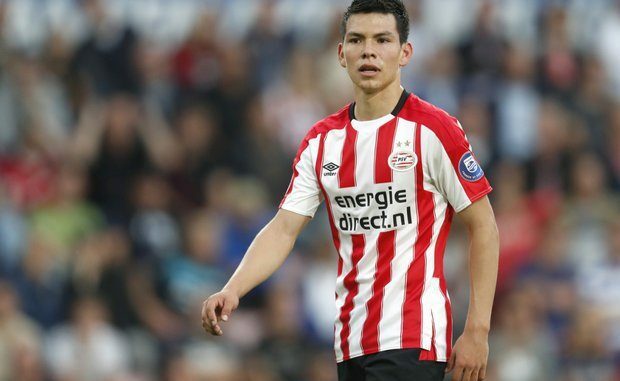 Manchester United will face stiff competition if they want to sign PSV Eindhoven winger Hirving Lozano, according to reports in the Spanish press. The 23-year-old Mexican is believed to be on the radars of Borussia Dortmund and Inter Milan, as well as La Liga duo Atlético Madrid and Barcelona. Lozano produced a stunning string of performances at the World Cup where his country beat Germany and South Korea to progress from the group phase before being sent home by Brazil in the round of 16. Hirving netted the only goal of the game versus Joaquim Low’s Germany side in Moscow, and his stock has risen ever since. Talented forward has taken his international form into to domestic competition this campaign, where he has netted two goals in four Eredivisie games. He netted 17 times and provided eight assists from a wide position as PSV Eindhoven won the Dutch title last season. Portuguese manager Jose Mourinho was reported to be unhappy with the wide alternatives at his disposal at Old Trafford in the summer and was thought to be eager to part ways with Anthony Martial.